There are some great Dubai dining deals to be had at Fibber Magee’s. Fibber Magee’s is known as ‘one of Dubai’s best kept secrets’, as it’s always heaving with folks having a great time. Popular with tourists and expats alike, as well as the usual Irish pub staples – great drinks, live entertainment (check out the excellent Paddyman every Thursday evening) and bubbly atmosphere. The food is surprisingly good, and there are some great dining deals to be had for tourists and residents of Dubai. ‘The craic’ at Fibber Magee’s is so immense, they have to hide it in a secret location! 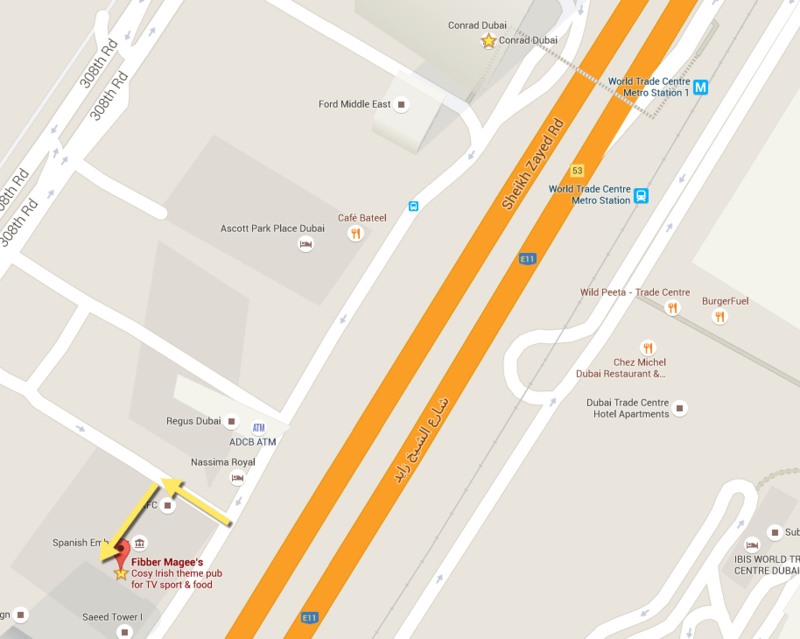 Fibber Magee’s is located between Crowne Plaza & Conrad hotels on Sheikh Zayed Road (nearest Metro – World Trade Centre). Walk from the Metro/Conrad South (towards Abu Dhabi), passing the Ascot then turn right after KFC down a path, then turn left and pass The Stables. Door is on far corner of building. Fibber Magee’s – best breakfast in Dubai? It’s an ongoing argument amongst friends where the best breakfast in Dubai is – I favour Fibber Magee’s (for the discount – see below) and 25° 55° Bistro at Dubai Marina Yacht Club (for the view). Fibber Magee’s has some amazing offers – check out the Offers page here – not least the Irish Breakfast Special, where from 8am to 11 am you can get 20% off the TOTAL BILL.